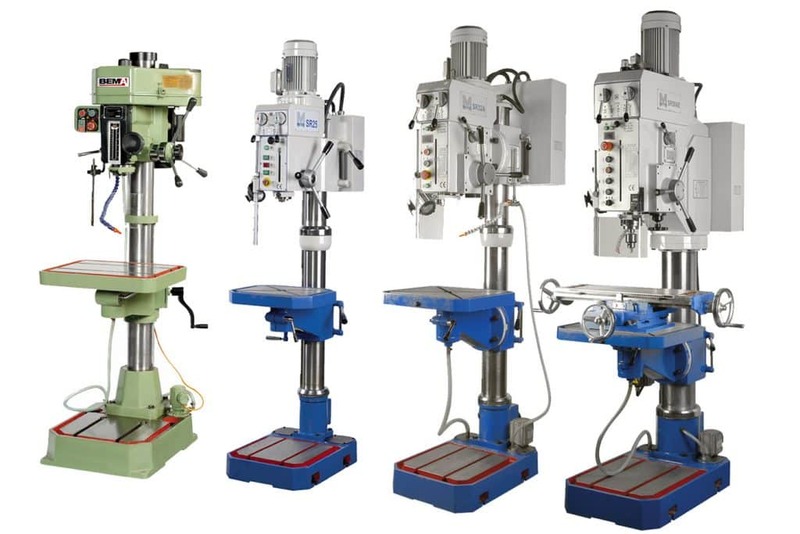 This week, the emphasis was firmly on our range of pillar drills which comprise of the Bema and Meyer ranges. Generally you might assume that a pillar drill is a relatively uncomplicated piece of kit compared to other machines that populate a modern workshop. 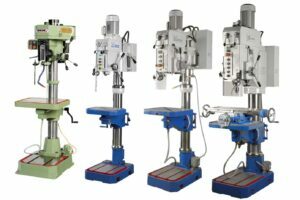 Centred on a heavy-duty steel column, on one end of the Pillar drill sits the motor, the chuck assembly and the drive system, whilst the lower end houses a secure and heavy cast-iron base. 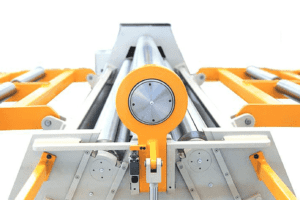 Between the two ends sits the horizontal table moved by a rack and pinion system, they are tough, reliable, no-nonsense pieces of machinery and both the Bema and Meyer ranges are superbly engineered to that very end. The thing that we find interesting though, when a group of like-minded, and eager people are milling around, admiring design and workmanship, asking questions and sharing ideas is the comparisons between the different models that were set up before us. The Bema MG32c for example, is available in 240v and 415v variations and is renowned as much for reliability as robust design and exacting standards. 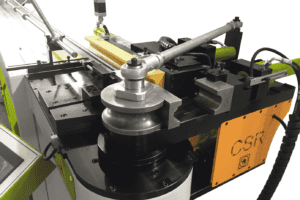 It fills an essential heavy-duty gap in the market between lightweight, low capacity machines and the higher end geared solutions such as the pillar drills that make up the Meyer range. The Bema MG32c has everything you would hope for in a high quality, mid range pillar drill; a two-speed motor, eye shield and guard safety features, a reliable and efficient coolant system and milling capability are all present as well as speeds of 100-2150 rpm and a 202mm throat depth, 32mm drilling capacity and 20mm tapping capacity make the Bema MG32c the perfect solution for reliability, all day every day, it even comes with its own spare parts toolbox containing chuck, Morse taper and drift amongst other things. 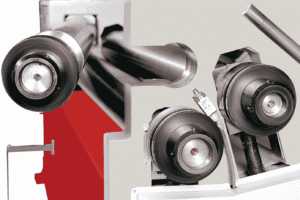 The Meyer range of pillar drills is geared towards much more towards precision engineering, with all the robust, heavy duty qualities of the Bema but with an array of features that elevate them into the higher end of the pillar drill market. The first and most important difference is the geared head, with more gears comes the precision and quality of performance for which the name is renowned. But there are many more reasons why the Meyer pillar drill range has continued to impress over time; the entry level model, the Meyer SR25 feels anything but entry level with its large (swing-able) work table, low voltage work lamp and rise/fall table and head. The Meyer SR32 builds on the versatility of the range with a tilting work table, coolant system and, on the SR32AE; the inclusion of a digital readout and tapping mode which automatically switches off the power feed to protect the gears from accidental damage. The Meyer SR50/AE models complete the range with even more impressive drilling capacities of 50mm, a 3kw motor and digital readouts for spindle speeds and stroke. For more information on our range of Bema and Meyer pillar drills, or for help and advice on which might be the right one for your individual requirements, get in touch today.